There are two things brides sometimes forget, but definitely need at the ceremony: a handkerchief and waterproof mascara. 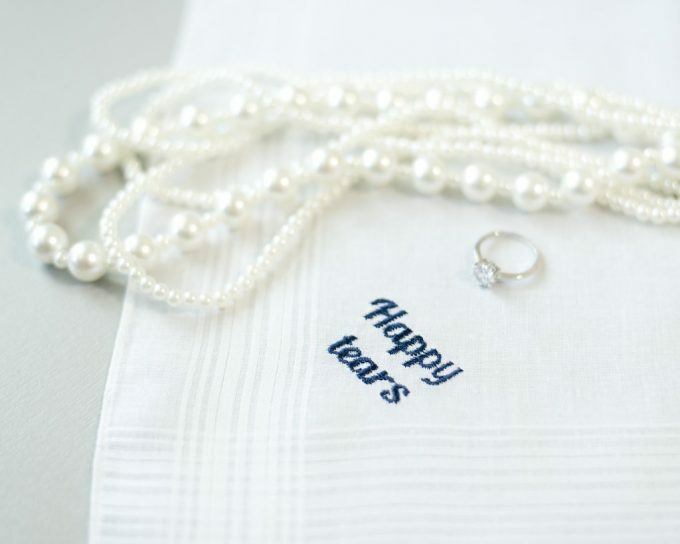 The handkerchief is for happy tears, and a solid waterproof mascara to keep those tears from ruining your makeup. ;) And while the waterproof mascara is really up to your own favorite preference (although I really do love this one), we can help with the hankie! 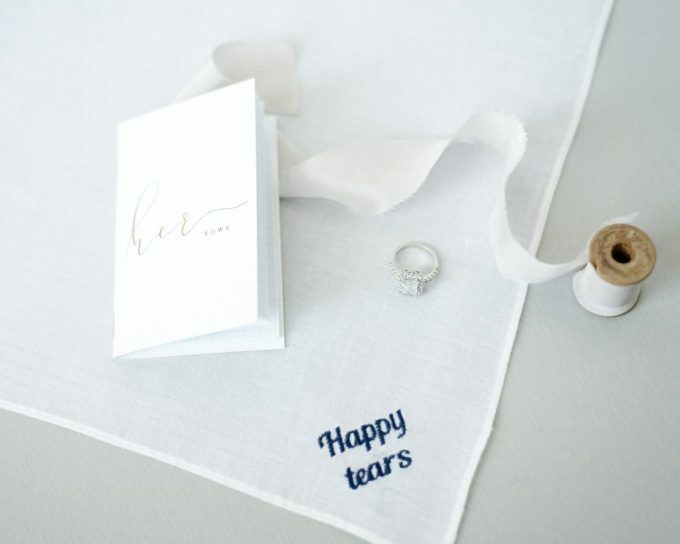 This happy tears handkerchief we spotted at Epically Embroidered is perfect for the bride. It makes a great engagement gift and can be customized with your favorite style of edging. Many brides wrap their handkerchief around the handle of their bouquet, so it is easily accessible during the ceremony. Others have their Maid of Honor hold it so they can pass it to the bride in case of happy tears. Either way, it is a cherished gift every bride should own and is a must-have for your bridal clutch. Take a look — it’s today’s handmade-a-day pick! 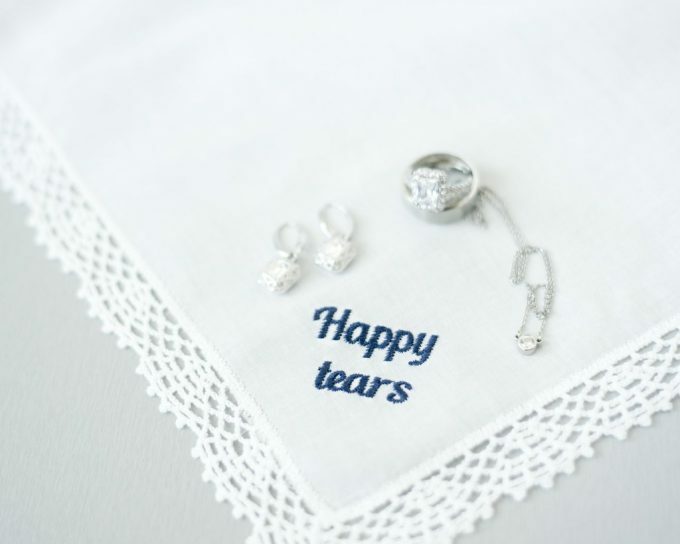 Buy your Happy Tears Handkerchief here! You can buy one EpicallyEmbroidered.com or in the Etsy shop here. If you need a custom order, just ask! Nicole is awesome to work with.